Brian Jones from Sycamore, Illinois! Brian has been contacted and says he never wins anything and is very excited. As an added surprise bonus – You’re ALL Winners! That’s right, we have decided to award a $5 coupon to anyone who entered the giveaway good toward any purchase over $60.00 at PMB! (good toward any new $60.00 or more purchase from this date forward, not an older purchase or preorder that hasn’t been shipped yet) If you are in this category (and yes, we have the list) and are buying something in the future – just let us know so we can apply your coupon. Or just wait until we send a real coupon code out later. Thanks again for participating. We are working on preorder items and should be updating this page with parts info soon. 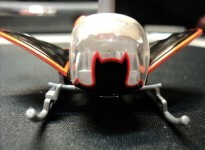 1 Hot Wheels 1/18 Super Elite Batmobile, MIB! Graciously supplied by REPLICARZ! How it works. This NOT a raffle or a sweepstakes. We are giving these items away completely free. However, we will be picking numbers from our new database. We will collect names to draw, (completely at random based on a numbered system and a true random draw) and pick a recipient on April 15th. This isn’t a raffle or sweepstakes, technically no purchase is necessary. Shipping of the items will be free to all continental US states. If an international donor is drawn, you will need to pay the actual shipping costs. We will close the list on April 15th at which time we will then pick the recipient and announce on April 16th. 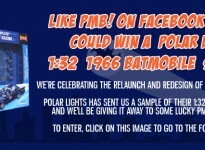 I was notified today that I am the winner of the “Big Bat Package of Fun!” I cannot tell you how excited I am! I have been a 1966 Batfan since I was a young boy. I truly thank “Pimp my Batmobile” and “Replicarz” for their generosity!